Botanical Name:- Aquilaria Agallocha Color : Dark brown & Balsamic Odor Agarwood Oil is extremely rare & precious oil that originates in North Eastern India, Bhutan & parts of South East Asia. It has a very long history of use in medicines, incense and as aromatic oil. Also known as aloes or aloes wood, there are several species of Agarwood, including Aquilaria agollocha, A. Malaccensis A. Crassna. Uses:- Agarwood oil is the most potent aphrodisiac of all the essential oils. An effective tonic, its aphrodisiac & diuretic properties helps in epilepsy. It also has carminative, antimicrobial, and anti-asthmatic properties. Further, it is also Useful in digestive, nervous disorders, bronchial complaints, rheumatism, smallpox, illness during & after childbirth, fevers, spasms in the digestive and respiratory systems. 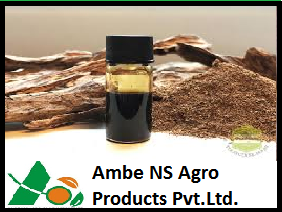 It is also used in Aromatherapy applications as well as for therapeutic uses in a large number of Ayurvedic medicines.